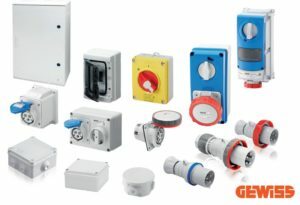 With a commitment to continuously improving its products and service, Italian industrial wiring accessories and lighting manufacturer, Gewiss, has now increased its service level to electrical wholesalers in the UK, with an exciting raft of changes that will make it easier and quicker to obtain their high quality, branded solutions. Fast moving codes will be stocked in an approved UK warehouse, and Gewiss’ sales processing systems have been adapted to offer guaranteed next day delivery (for orders placed before 12.30pm). In addition, the company is offering single item availability rather than boxed quantities, providing more flexibility, which is particularly important for smaller branches and profit centres.